Los Villanos are a five brothers who've all worked under the Villano name. Each one was identified only by a Roman Numeral: I, II, III, IV, and V.
Their father is Ray Mendoza; despite being a succesful wrestler himself, he demanded his sons learn another profession/trade before becoming allowing them to start with wrestling. Some of the sons secretly wrestled before fufilling this request, but all earned degrees in their non-wrestling fields. 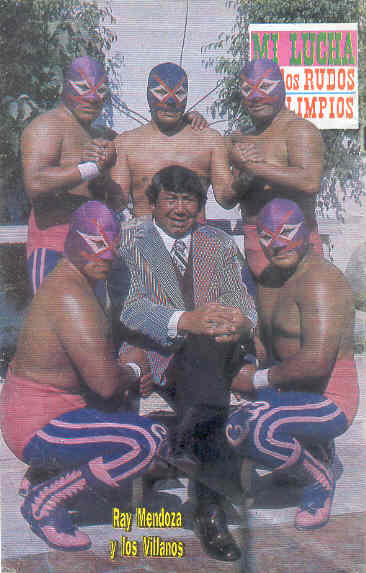 As the name suggests, the Villanos were known as villians for large stretches of their career. As a family, their most famous feud was and is with the Brazos, including a memorial trios match where all three Brazos lost their masks. Villano III's career highlights include feuds with Pegasus Kid and Atlantis, the later who took his mask. Villano IV and V are probably the most famous in the United States due to their long underdcard stretch in WCW. Villano I was a trainer for the UWA in the 90s. Villano II was a freelance artist in his spare time. Villano I, Villano II, and Ray Mendoza have passed. 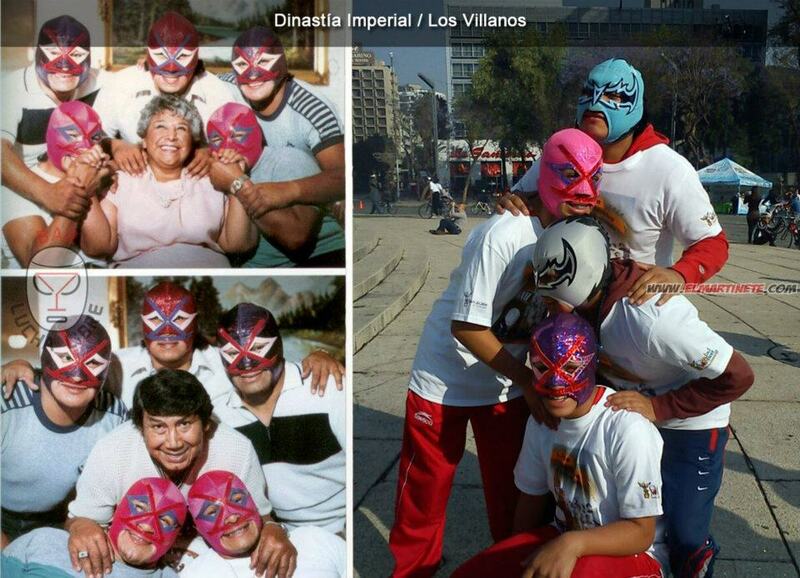 Villanos III, IV, and V were last in CMLL but are now independent wrestlers. 3rd Gen El Hijo del Villano III Villano III Jr. Rokambole Jr. (Kaving) Villano V Jr.
Rokambole Jr. may be a member of the family, however the relationship is unknown. This page was last edited on 13 March 2019, at 08:17.